Reporters Without Borders is shocked by the assault yesterday on the Tajik journalist Dodojon Atovulloev, who was stabbed in a Moscow restaurant, and calls on the Russian police to do all it can to identify his attacker and those behind the crime. “All avenues must be explored, taking account of the professional activities of this noted opposition journalist,” the press freedom organization said. “Dodojon Atovulloev is well-known for his critical views towards the Tajik authorities and the serious threats to which he has been subjected have led Germany to give him political refugee status. Atovulloev was stabbed twice in the stomach by an unidentified attacker in a restaurant in central Moscow yesterday evening. His attacker fled. The journalist underwent emergency surgery in hospital and is now out of danger. The police are treating the attack as a case of grievous bodily harm and the interior ministry said a 23-year-old Tajik citizen was arrested this morning. It is too early to say whether he was the attacker. 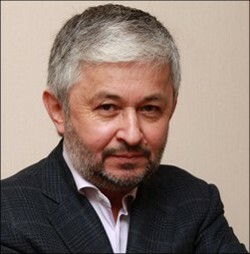 Atovulloev is the founder and editor of the Tajik opposition monthly Charogi Ruz (Daily Light). It was the first privately-owned newspaper to be recognized after Tajikistan gained independence. The newspaper made a name for itself for its tough criticism of the government of President Emomali Rakhmon. Atovulloev has been the target of death threats and multiple court proceedings, and was forced to leave the country in 2001. He shares his time between Hamburg and Moscow, where he now has his editorial headquarters. Last year, Tajik judicial authorities submitted an extradition request to Moscow, which was rejected.